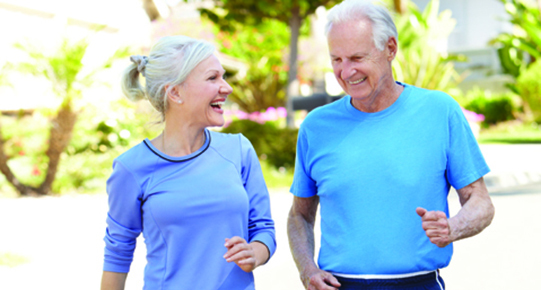 At Marianjoy, we strive to make your rehabilitation stay comfortable and pleasant. Every aspect of our facility and care was designed with the patient experience in mind. What makes Marianjoy unique is evident from the moment you enter our campus. Situated on 60 acres of native prairie, ancient oaks and wildlife, our state-of-the-art facility hosts leading-edge clinical programs to get you back to your best life. We are accredited both by the Joint Commission and the Center for Accreditation of Rehabilitation Facilities. We have also achieved specialized accreditation for our brain injury, stroke and pain programs. Your comprehensive care team will be led by one of our board-certified physiatrists. With your input, our multidisciplinary team of physicians, therapists and nurses will design an individualized treatment plan along with the education you will need to meet your personal goals. Your therapy evaluation will take place within 24 hours of admission to our inpatient program, and subsequent therapy sessions are delivered six days a week. During your inpatient or subacute stay, 24-hour medical care is provided. We encourage you to experience our enabling garden, labyrinth and therapeutic garden, which have been designed for reflection and to enhance healing. Our meditation room offers a space for peaceful contemplation. Marianjoy's two-story chapel is open to you and your family for private or weekend worship services. A map of the hospital and the wheelchair-accessible campus paths is available from the front desk. A list of weekly activities and events will be delivered to your room. Visitors are welcome between 9 am and 8 pm daily. In addition, one adult overnight guest is allowed to stay with the patient, with proper registration. While meals are provided to inpatients during their stay, visitors may purchase food from the Joyful Café. Because rehabilitation is a journey, Marianjoy offers subacute rehabilitation, outpatient therapy and follow-up medical care with your Marianjoy Medical Group physician at one of our locations in the Chicago area. Your case manager will work with you to facilitate any additional care you may need Family members or caregivers are encouraged to participate in a family education visit to learn about your patient care needs following your stay. We are proud that our patients consistently give us the highest rating of satisfaction. We believe Marianjoy is the best choice for your rehabilitation needs, and it is our goal to be your partner for a lifetime of healing. Thank you for choosing Marianjoy.